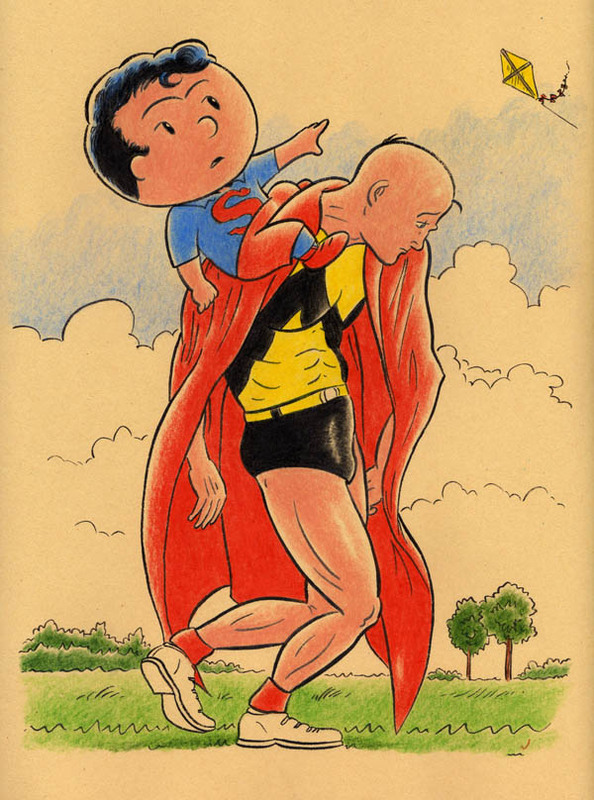 The first in a new series of mental/physical Cartoon Jumbles, this one featuring Superman and Charlie Brown! Art is approx. 9" x 12", colored pencil and ink on heavyweight manila drawing paper.